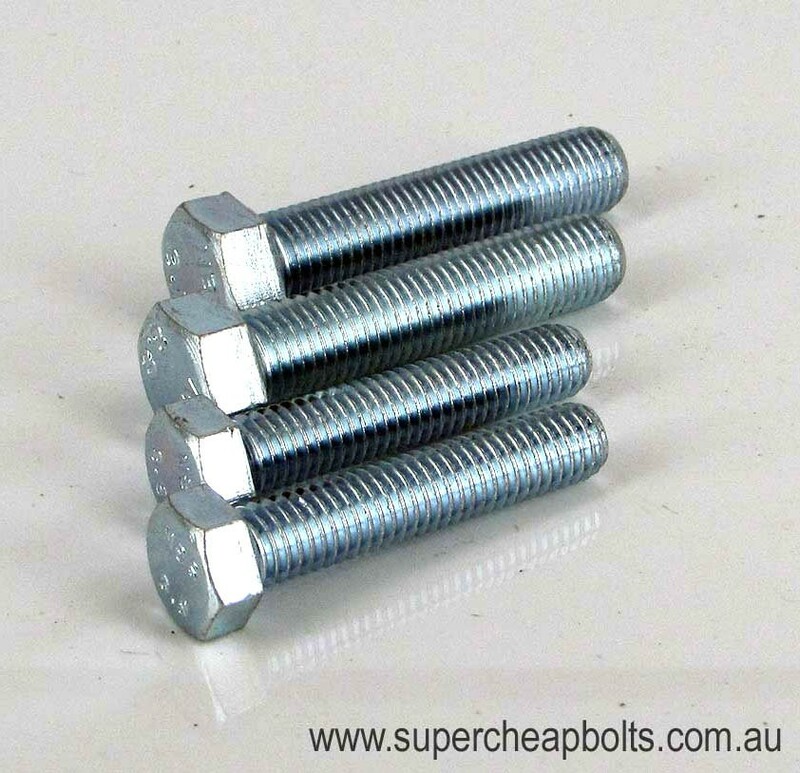 Metric Coarse & Fine Class 8.8 High Tensile Zinc Plated Automotive Head Size Hex Head Set Screw (Full Thread) are supplied with a spring washer & standard flat washer. Included washers are supplied at no extra cost. Metric Coarse & Fine Class 8.8 High Tensile Zinc Plated Automotive Head Size Hex Head Set Screw (Full Thread) are supplied with a spring washer & standard flat washer. The included washers are supplied at no extra cost. 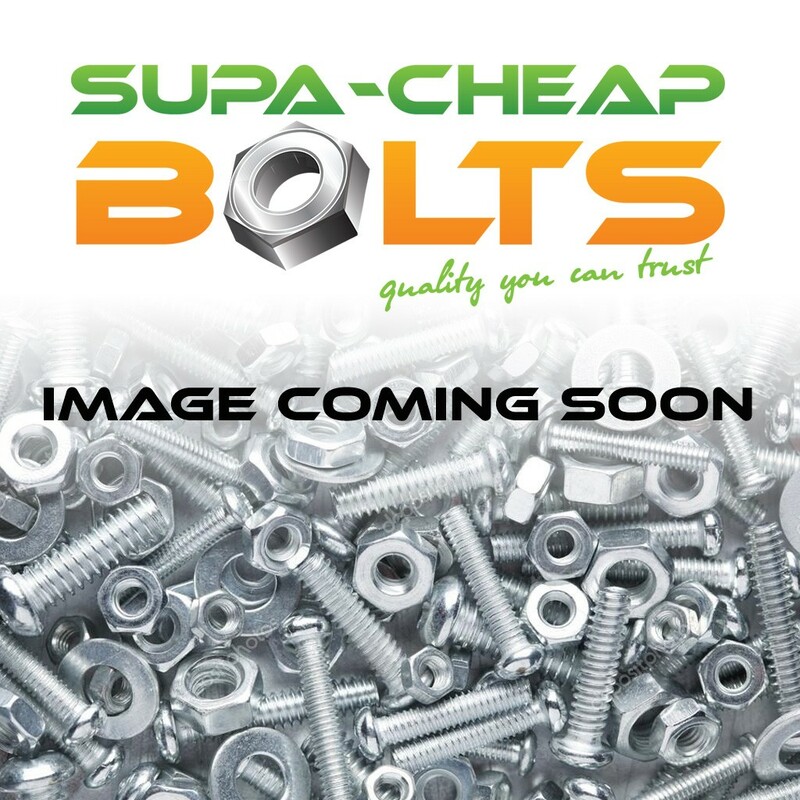 Supacheap Bolts Hexagon Head Class 8.8 High Tensile Set Screws are manufactured to JIS Standard 1180 and our bright zinc plated finish offers corrosion protection and suitable for general purpose higher strength internal and external bolting where maximum adjustment may be needed, and for fastening blind threaded components where a thread, running the full length of the bolt, is required. Typical applications for this very widely used product include machine builders, automotive applications and the mining industry. 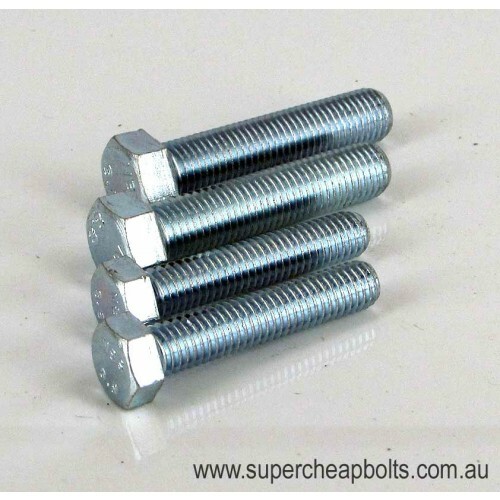 Supacheap Bolts currently stock M8(1.25) 12mm AF and M10(1.25) 14mm AF diameter set screws up to 50mm in length. Please note: Our Image is of a generic standard hexagon head set screw and the length of a set screw is measured from under the head.